COOROY is going all out to commemorate when the guns fell silent on the Western Front, marking the end of World War 1 on November 11, 1918. 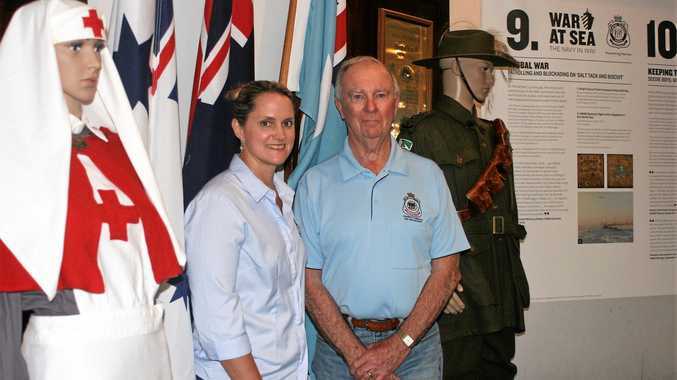 Many long hours of research and work by the Cooroy Pomona RSL Sub Branch has organised a special 10-day exhibition and display in the Cooroy Memorial Hall for the Centenary of Armistice. "This exhibition which will tell the story of how and why the war began,” exhibition director Ian Whisker said. Included in the display will be many photos and information boards including material from the Maritime Museum and Adopt a Digger. Memorabilia will also be on display such as uniforms and a mock World War I trench that is being built inside the hall. Visitors can walk through the trench to experience the conditions that the troops fought under. Entry to the exhibition is free and will be suitable for all ages. An official opening of the display by federal MP Llew O'Brien is to be held in the Memorial Hall on Thursday, November 1 starting at 4pm. Everyone is welcome to attend this historic occasion. The exhibition will be in the Cooroy Memorial Hall from Thursday to Saturday, November 1-10, 10am-4pm daily. On Sunday, Remembrance Day, a service will be held at the Cenotaph starting at 10.40am. Funding from Mr O'Brien through the Armistice Centenary Grant Program was received for the compilation of this outstanding exhibition.